Adventurous spirit has always been a part of Jack Link’s tradition. Thanks to their untamed appetite for exploring new tastes and over 100 years of expertise in meat snacks, they’ve developed their own unique Biltong marinade to bring you the original South African flavour. 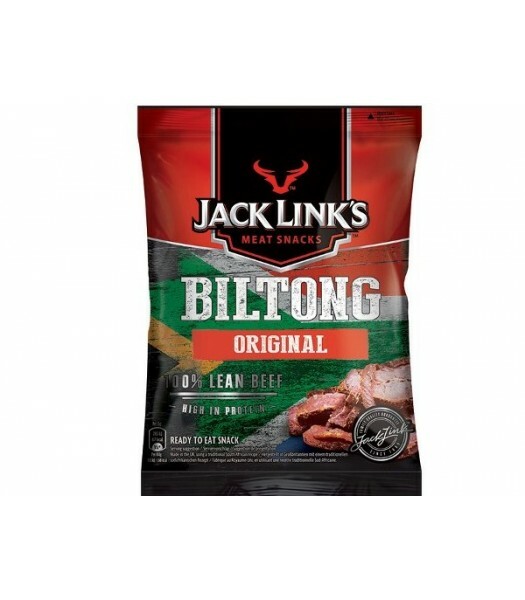 Jack Link's Bilton is made using only quality cuts of prime beef seasoned carefully with their special family recipe using selected ingredients. Finally the beef strips are slowly air-dried and cut into thin slices, in the traditional South African way. Biltong is high in protein, and low in sugar. It takes 250g of beef for 100g of Biltong! 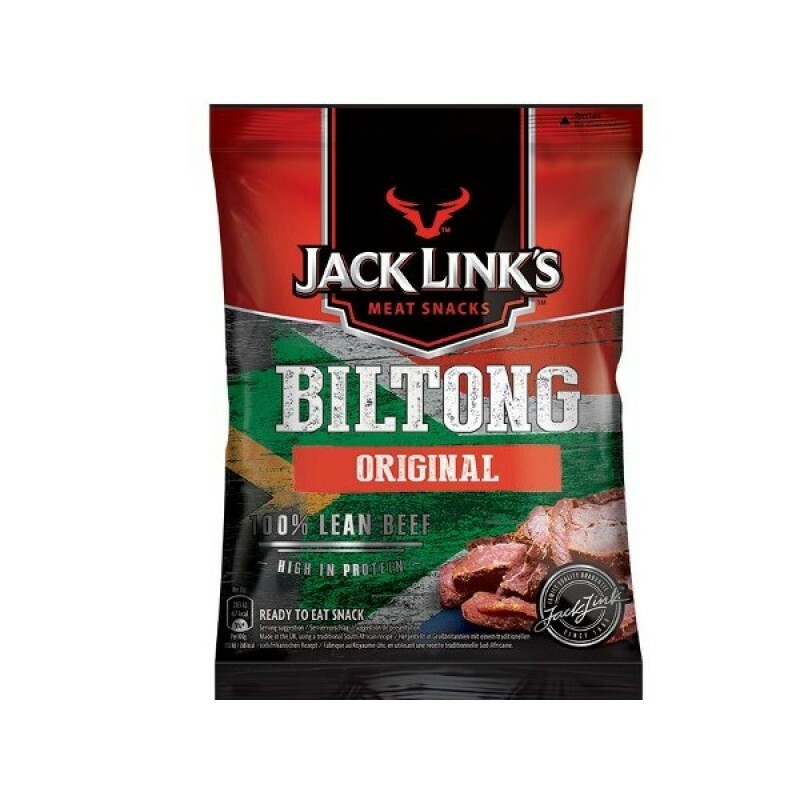 What makes it different to Jack Link's beef jerky? Both meat snacks are made of 100% lean beef, but Beef Jerky and Biltong offer you a different taste and texture experience. Jerky is always smoked and has a sweeter taste, whereas Biltong is never smoked and crafted with spirit vinegar. Biltong also has a slower drying time. Go ahead and try it! 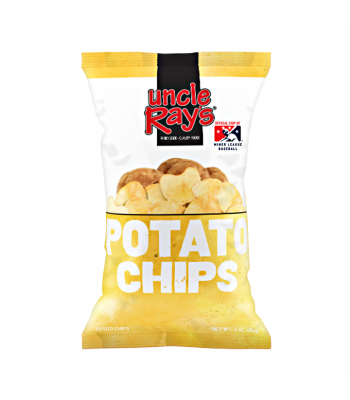 This snack will bring you to sunny South Africa.